Get ready to start downloading, as the CyanogenMod team has started pushing out its first release candidate for 10.1. The CM team only uses the RC moniker to describe software that is believed to be stable and reliable enough for regular daily use. If you are looking for a rock solid version of Android 4.2 for your phone, this is probably the one to get. The timing is no coincidence, as this lands exactly one week before a new version of Android is expected to be announced at Google I/O 2013 (probably v4.3). As with previous OS releases, the CyanogenMod team usually pushes a final RC or stable release shortly after the launch of a new version from Google, immediately before integrating the latest code base with their own modifications. In a blog post, the developers acknowledge there will probably be no more updates to this branch. We haven’t used the ‘Release Candidate’ nomenclature since the ICS days, but we feel the 10.1 branch is quickly approaching the point where a ‘final’ build is due. 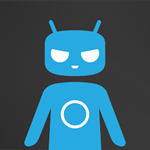 To prepare for that eventuality, RC1 builds for CyanogenMod 10.1.0 are now landing on our servers! This will be one of (if not the last) milestone releases before a 10.1.0 is pushed out. These builds will appear as they complete the build process and, as always, you can download the builds via get.cm! If you can't wait any longer, hurry over to get.cm to grab RC1 for your device. The builds will be hitting CM's download servers as they finish baking, so if yours isn't available right now, check back in a bit. Oh, and don't forget to grab the latest GApps.